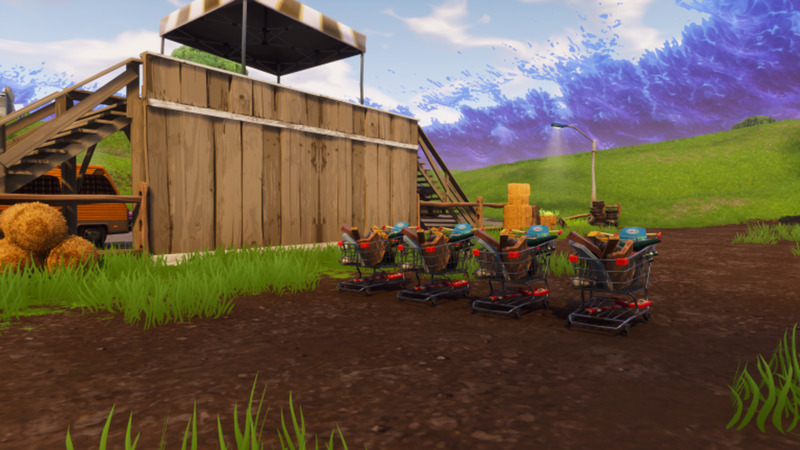 A new teaser image was unveiled for Fortnite’s upcoming v4.3 patch which suggests that shopping carts may soon be making their way into Battle Royale. 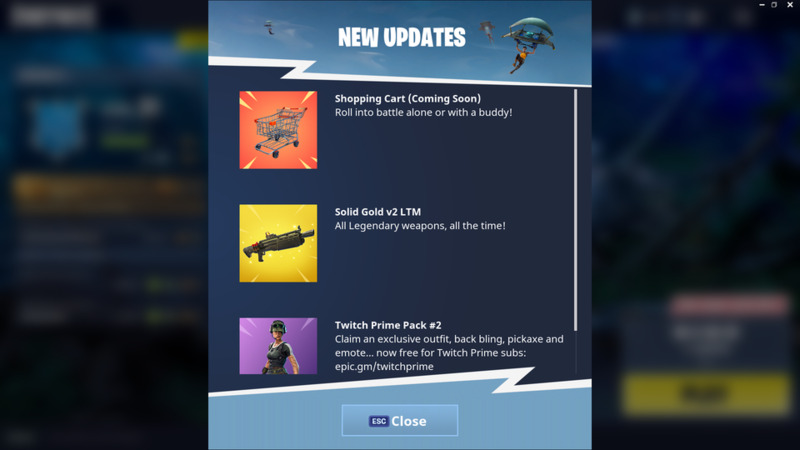 Judging by the nature of the image, it appears the shopping carts will serve as Fortnite’s first vehicle. One with the capacity to carry both you and a friend. How exactly the shopping cart will function as a vehicle is still up in the air, though it could act as an item that takes up space in your inventory similar to the jetpack from Fortnite’s previous content update. The addition of a shopping cart vehicle in Fortnite isn’t as strange as it sounds, as many Fortnite players will have noticed that shopping carts are already strewn through the game’s map. In fact, if you visit the map’s racetrack located along the eastern coast of the map you may notice a racetrack with shopping carts lined up along the starting line. Shopping cart racing in Fortnite? Yes, please! Right now, there’s no word as to when shopping carts will become functional vehicles in Fortnite. It’s likely we’ll get them as soon as next week when Fortnite’s v4.3 update is released, though. What do you think of having shopping cart vehicles in Fortnite? Would you take them for a spin, or do you prefer old-fashioned rocket surfing? Let us know your thoughts down in the comments below, and stay tuned for more news regarding Fortnite’s v4.3 update!